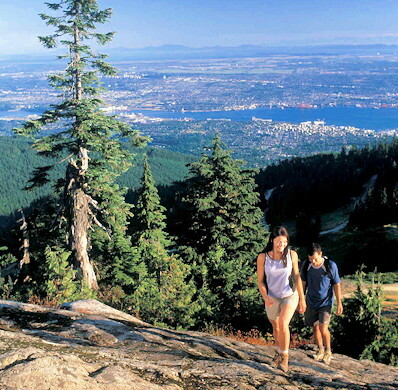 North Vancouver is situated in one of the most spectacular geographic settings anywhere. The land rises up from the waters of Burrard Inlet through forested slopes to British Columbias Coast Mountains. Today's urban community has emerged from a BC wilderness where once only a handful of First Nation settlements and an isolated logging town hugged the water's edge. 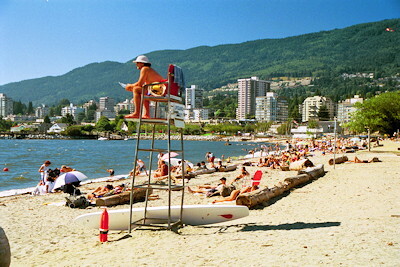 North Vancouver is the home of two municipalities: a compact City facing Burrard Inlet and a larger, suburbanlike District surrounding it on three sides. North Vancouver has also been home to such notables as rock star Bryan Adams, sprinter Harry Jerome, broadcaster Red Robinson, actor and Chief of the Burrard Band Dan George, skater Karen Magnussen, Group of Seven painter Fred Varley, writer Malcolm Lowry, actor Jason Priestley, Margaret Sinclair (wife of Prime Minister Pierre Elliott Trudeau), cartoonist Lynn Johnston, Squamish Chief Joe Capilano, and mountaineer Phyllis Munday. 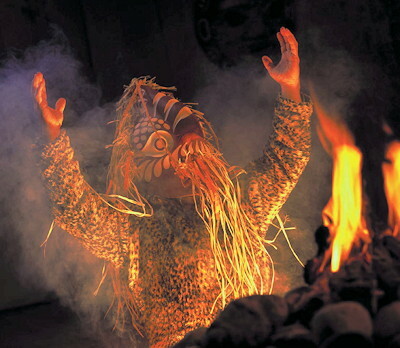 The First People to call North Vancouver home were Coast Salish, who had permanent winter villages, fishing camps, and other resource sites along local shorelines and river mouths, while nearby mountains were used for hunting and spirit questing. Travelling by canoe, they moved between a network of sites on the banks of Howe Sound, Burrard Inlet, Indian Arm, and the mouths of the Capilano and Seymour Rivers. Slightly over 200 years ago the Spanish arrived giving name to Vancouver's Spanish Banks, and in 1792 Captain George Vancouver of England explored the local shores. Descendents of these First people, members of the Squamish and TsleilWaututh Nations, still live and work in the community today. North Vancouver has changed dramatically over the past century and a half. While the mountain backdrop remains the same and the old town sites of Lynn Valley, Deep Cove, Lower Lonsdale, and the First Nations communities on the water remind us of the past  in many ways, North Vancouver is now a very different place than it used to be. Until the 1970s and 80s, North Vancouver was a mostly working-class community that centered first on logging, and later on shipbuilding and related maritime industries. In recent years, the workforce has changed and many residents participate in the "knowledge economy". Old-timers and newcomers alike probably agree that North Vancouver today is one of Canadas most vibrant and livable communities. Hotels, motels, and cozy bed and breakfasts, North Vancouver has a room to suit your preference and budget. If you're travelling with a pet, be sure to mention it when you're booking your accommodations. Today, more hotels and motels are accepting pets. Bed and breakfasts generally do not accept them because they often have pets of their own. The North Shore is more than just a spectacular backdrop for one of the world's most scenic cities. Few cities offer visitors the chance to spend the morning skiing or boarding, and the afternoon enjoying a picnic at the beach watching the cruise ships sail by. If you love water sports you've come to the right place: just head downhill from anywhere on the Shore and you'll hit the ocean. The coves and little islands on the coastline make for perfect kayak and canoe trips and some of the best diving spots in the province. All that vibrant Coast Mountain rainforest makes North and West Vancouver's trails a mecca for hikers and mountain bikers alike. Grab a map from the nearby bike shop (or eavesdrop on the locals) to discover why everyone on two wheels wants to ride here. Some of Greater Vancouver's prime attractions are right here on Vancouver's North Shore, including Capilano Suspension Bridge, Cypress Mountain, Grouse Mountain, Capilano Salmon Hatchery, Cleveland Dam, Deep Cove Canoe & Kayak, Lonsdale Quay Market, Lighthouse Park & Point Atkinson Lighthouse, Lower Seymour Conservation Reserve, Maplewood Farm, Park and Tilford Gardens, and Sewell's Marina. Vancouver's North Shore boasts a temperate marine climate. Often called Canada's "Lotus Land," our region has the mildest weather in Canada due to ocean currents and weather patterns that bring waves of moist Pacific air year-round. Getting to North Vancouver is simple, quick, and scenic. The North Shore is linked to Vancouver by two historic bridges; the landmark Lions Gate Bridge and the Ironworker's Memorial Bridge. 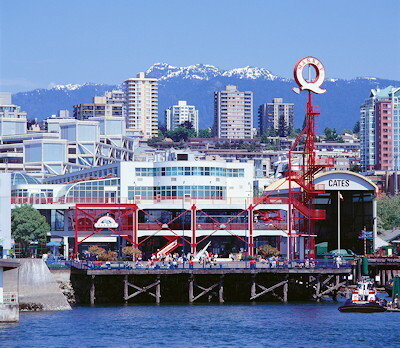 One of the most popular and scenic ways to cross Burrard Inlet is by SeaBus, a short 12-minute harbour-hop that zips you from downtown Vancouver to Lonsdale Quay, amidst freighters, tugs, float planes, helicopters and occasional cruise ships and kayaks that ply the bustling harbour. 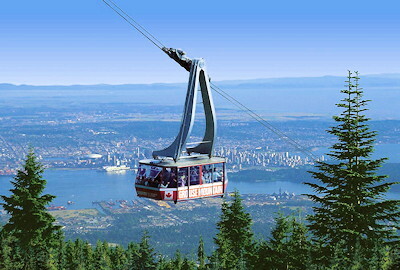 Other approaches to Vancouver's North Shore include Highway 1 from the east � or Highway 99 from Pemberton and Whistler. Located inside the Lonsdale Quay Market, north end-ground floor. Alternately, the closest Visitor Centre is Tourism Vancouver.